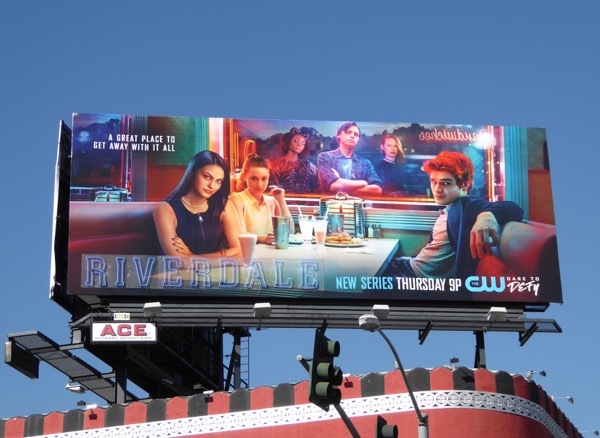 These days it's not only superheroes that are being adapted for the small screen, as this year The CW adapts the characters from Archie Comics in the new series, Riverdale. 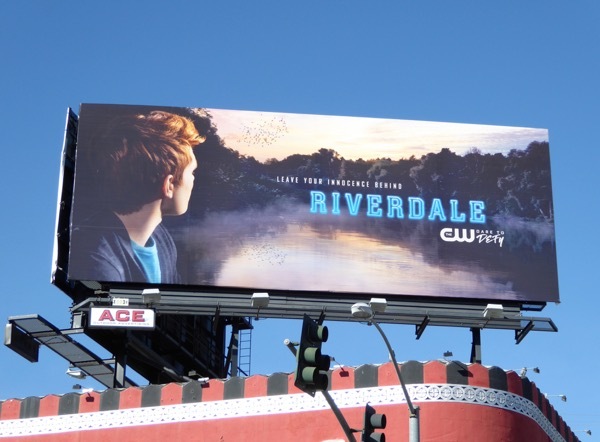 Named for the fictional town that the comic book characters live in, the show coincides with the 75th anniversary of 'Archie Andrews' adventures. 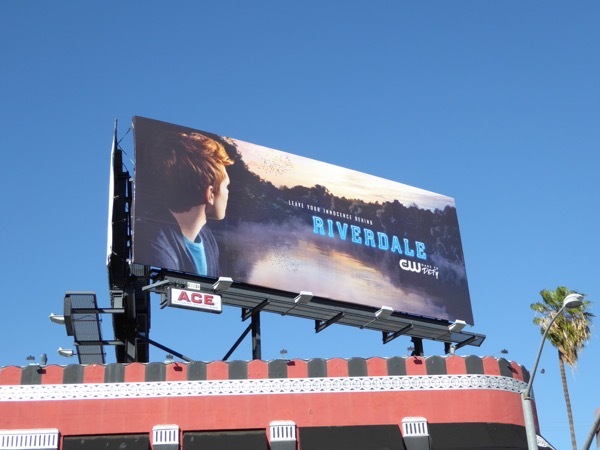 Created in 1941 by publisher John L. Goldwater and artist Bob Montana, in collaboration with writer Vic Bloom, the red-headed titular character will be played by newcomer K.J. 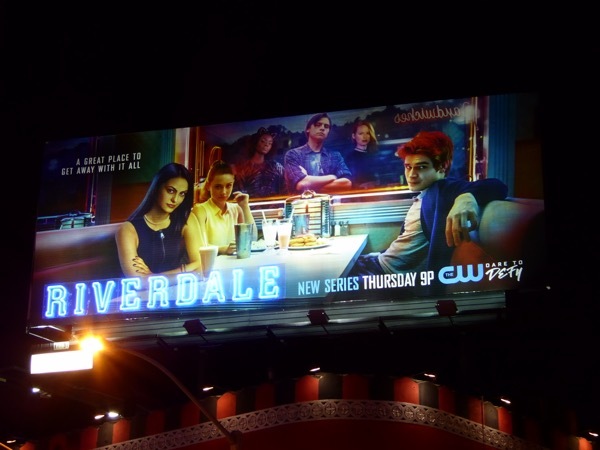 Apa and the show will have a teen mystery vibe to it. 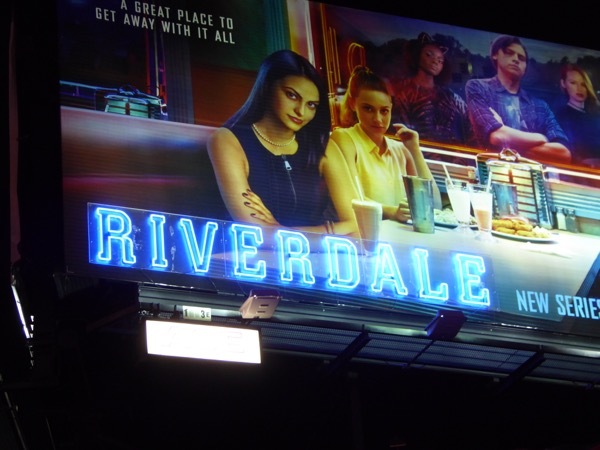 Fans of the comic series will also get to see 'Veronica Lodge', 'Betty Cooper', 'Jughead Jones', 'Kevin Keller', 'Jodie McCoy' and 'Cheryl Blossom' brought to life, whilst Archie's construction firm owner dad will be played by Luke Perry and Mädchen Amick will star as Betty's perfectionist newspaper editor mother. 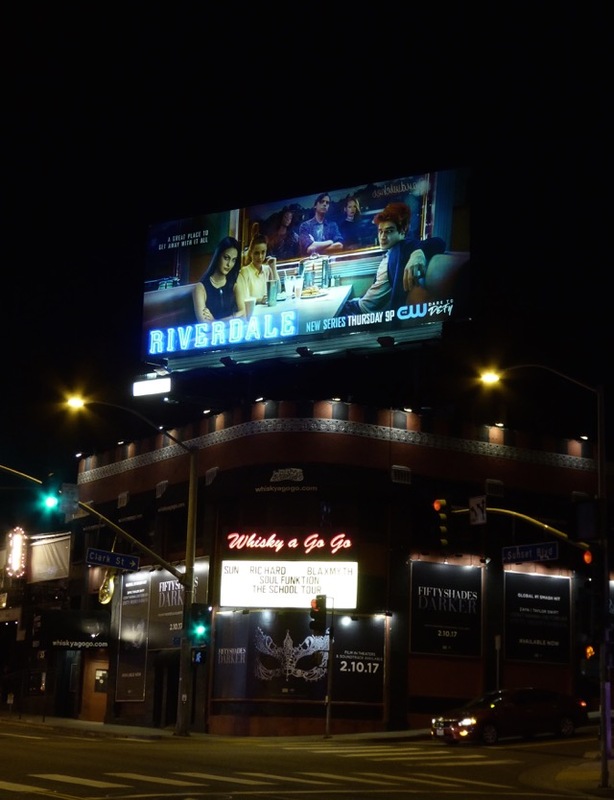 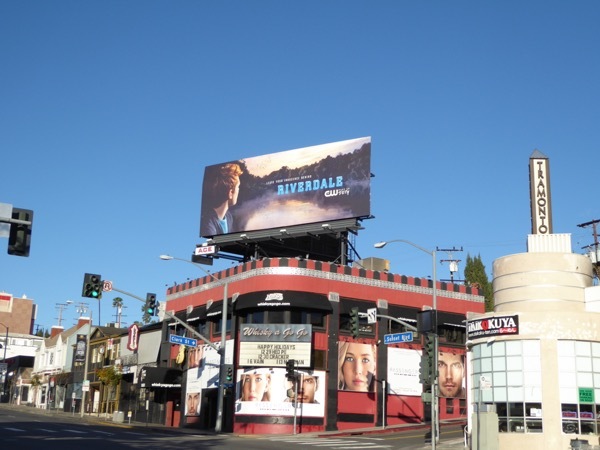 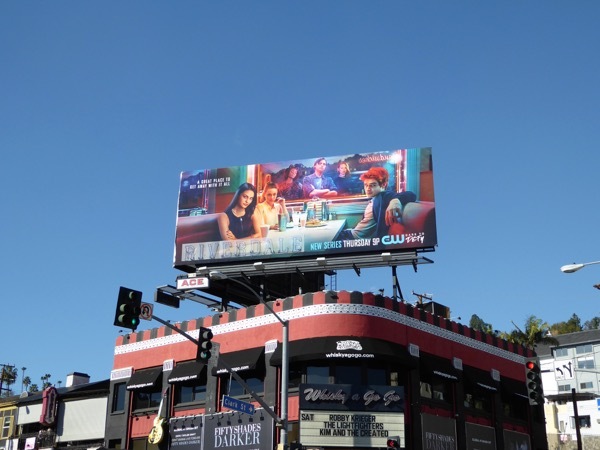 The CW have been teasing the series in the skies of L.A. for a while and this wistful Riverdale teaser billboard was first spied above the infamous Whisky A Go-Go club on December 24, 2016. 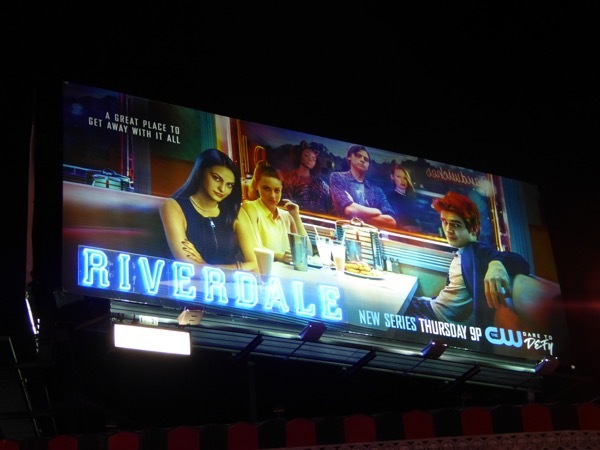 Meanwhile a follow-up billboard featuring the show's wider cast of bright young things was snapped in the same Sunset Strip location on January 14, 2017, and what's more it has a special neon sign installation to perfectly compliment and enhance the diner ad creative. 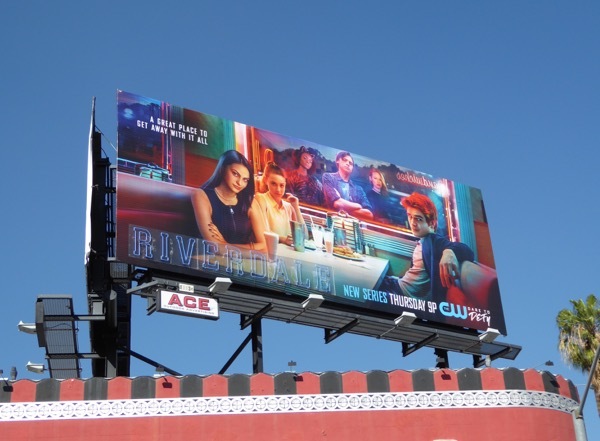 If you like this cool out-of-home gimmick, be sure to also check out this neon sign Footloose movie remake billboard from 2011, this cool Inherent Vice movie billboard from 2014 and this Coors Light neon sign billboard from last year. 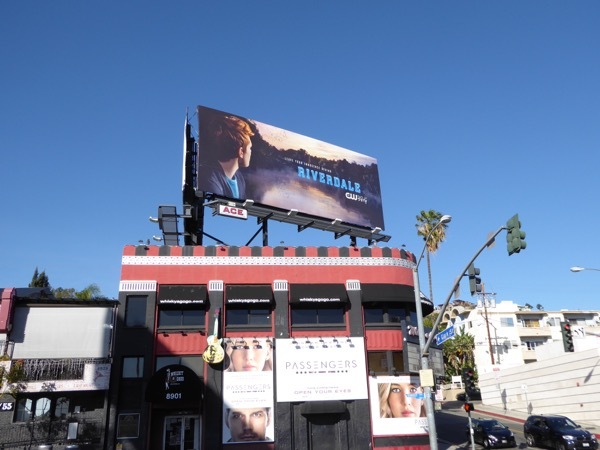 Will you be taking a trip to Riverdale this winter TV season to see what mysteries, bullies, romances and high school drama awaits?